In flamenco dance, the dancers interpret with the body what the sing transmits, lyrics that are usually loaded with feeling: from the deepest sorrows to moments full of contagious joy. For this to reach the public, the dancers use their body to express all these emotions. The wiggle of the figure is accompanied by movements of smooth and elegant arms that contrast with ‘zapateado‘, sometimes very intense. On the flamenco tablao, the interpreter communicates with everything. The movement of the arms, hands and fingers gives grace and gives magic to the dance. 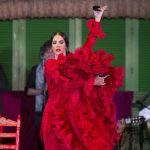 It is also the element through which, together with the contoneo of the body, it is possible to reinforce that ‘communication of feelings’ that each flamenco style possesses, such as joy, sensuality, sadness or passion, among others. These delicate and elegant movements become a true work of art when everything is in harmony in flamenco dance: movement of arms, hands, fingers and body. 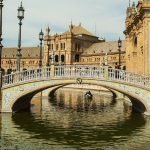 When we go to a flamenco show, on the tablao this synchronization seems easy, but in reality it is not as simple as it seems. Getting the right technique requires a lot of effort and hours of work so that everything flows naturally. The good placement of the arms, the proper movement of the hands and fingers is essential so that the final result is the right one, that is to say, that not everything is valid in flamenco art. To perform a dance correctly, the interpreter has to know how to place and move the arms so that when you take them from one position to another, do so as naturally and beautifully as possible. For example, the hands of flamenco dancers must always be above the waist. 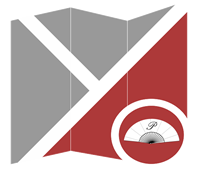 The twist of the wrist must be in both directions and know how to coordinate the arms with the rotation of the wrists. Although it may seem like a simple task, the essential thing is for artists to do all these movements at the same time in a natural way. How the arms move in flamenco dance? In relation to the movement of arms, the ‘floreo’ and the ‘braceo’ are essential to dance flamenco because they are used throughout the execution of the different flamenco styles that are interpreted, both in the movements from one side to another, as in the accompaniment of other movements of the body and, as we have indicated at the beginning, the ‘zapateado’. In the ‘braceo’ (arm movement), the most basic thing is to move the arms semicircularly, from top to bottom outside the torso, or also from bottom to top through the center of the torso. It is responsible for giving character to the interpretation, hence the position is very important, which plays a key role in the interpretation. The arm movement can be strong and dominant or fragile and delicate. The ‘floreo’ is the movement of hands and fingers that consists of moving the arms and at the same time turning the wrists in a circular way, while the fingers open and close. In the movement of the arms, hands and fingers, if you notice there is a slight difference between how the man and woman do it. The men dancers usually keep their fingers together, while the women perform movements from the little finger to the index, which gives a more beautiful appearance to the rotation. Flamenco music and dance are the fruit of centuries of influence and the fusion of multicultural elements, whose result seduces the whole world. 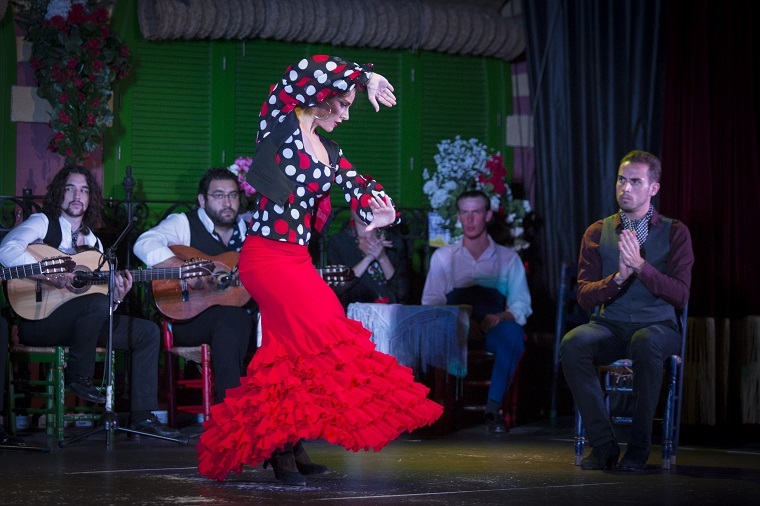 Flamenco is an art that is characterized by accommodating the artist’s personal improvisation. In the case of dance, the spontaneous expressions of the dancers during their performance, grant them a special nuance that enrich the final result. The way in which the arms, hands or fingers are moved are also personal hallmarks that characterize the execution of many artists. Remember that flamenco dancing is manifested in more than fifty different styles, depending on the emotional criterion or its origin, among other elements. That is to say, the artist must respect the structure and elements of each suit he plays, but by adding his personal stamp, he differentiates his flamenco interpretation from another. Flamenco is a very visual art, hence the dancers also speak with their hands. They sound and sing with palms and clicks when they are happy or they are also used to transmit passion, lament, delicacy, elegance or pain, depending on the type of movement the performer performs with them. The fact of not taking off the fingers for men. The detachment only two fingers, the index and the heart, in the case of men, but this movement was also very typical of the dancer Pastora Imperio, who used them with a hand turn down and inside. Forming a circle with the fingers heart and thumb for women, or making conches or ringlets. Other forms that are also very typical and traditional in the movement of the hands is taking handfuls, calling someone, with an open hand as a farewell or completely tense as a gesture. As we can see the movement of the arms, hands and fingers are fundamental elements for flamenco dance. Enjoying a live performance is undoubtedly one of the most recommended experiences to appreciate the grace and elegance that artists transmit with these movements. 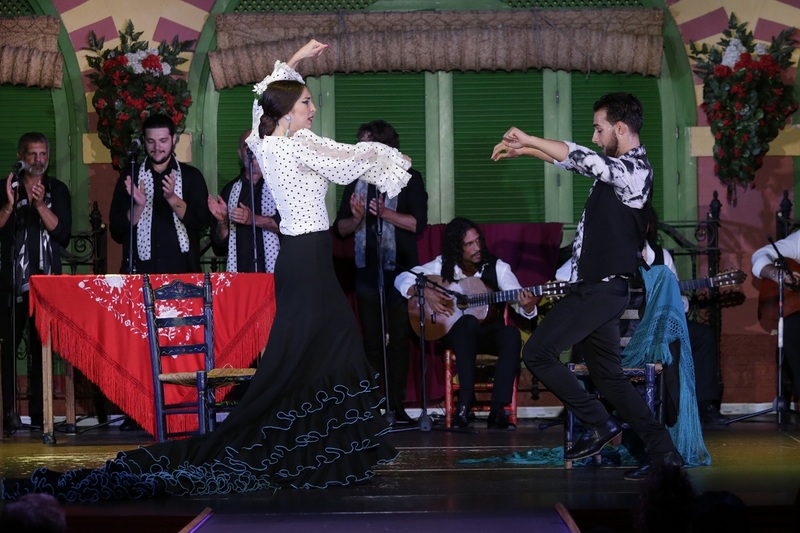 If you visit Seville, our recommendation is that you visit our tablao flamenco and do not miss the flamenco show that we celebrate every day at El Palacio Andaluz.